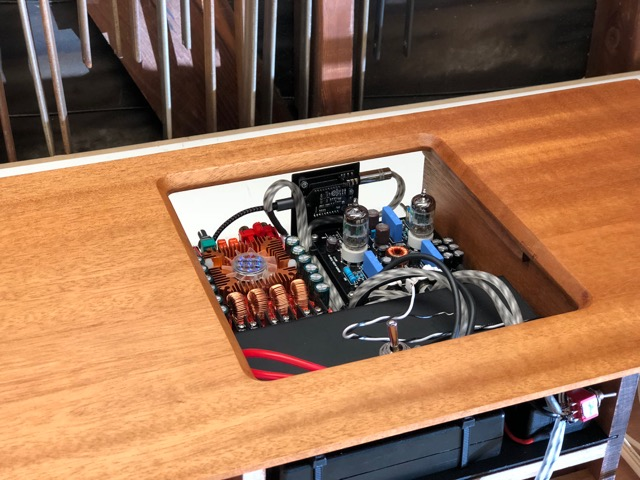 At SoundImports you do not rely on conventional designs and standard products, Sonnora Design shows us this with their project Moderno Minitube Speaker. 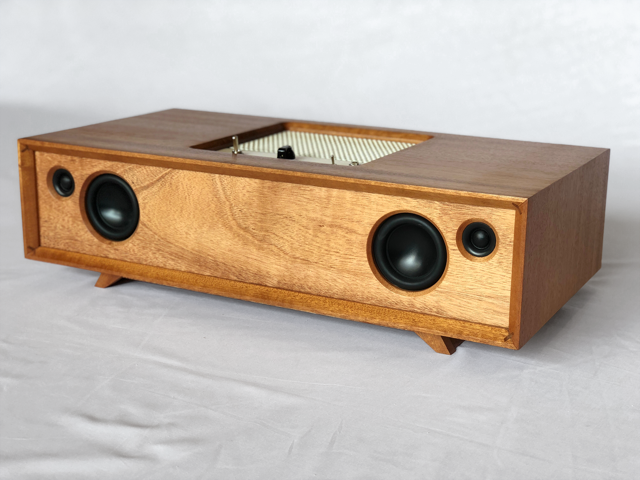 The speaker has a vintage look and it is built with modern components. 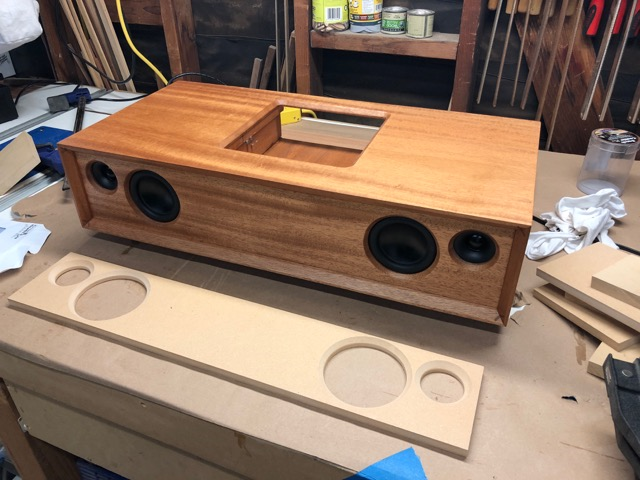 Before we take you through the construction process, we will show you the end result.The entire speaker is self-made, even the main plug. We are delighted to see that Sonnora Design has put a lot of time and love into this project! 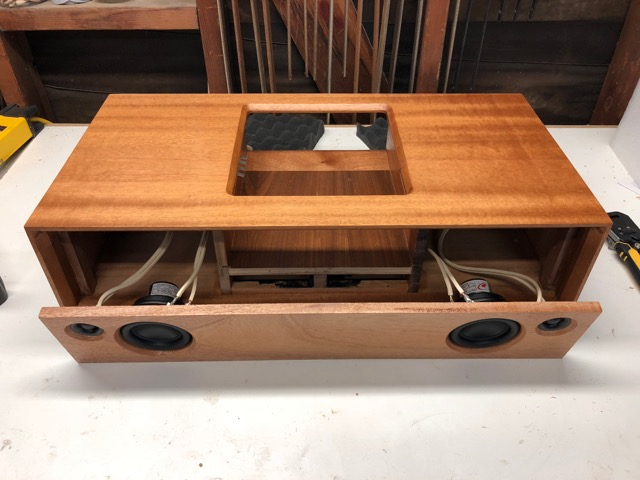 Every project knows the same steps; what kind of speaker do I want to build, which components will I use and which materials are suitable? 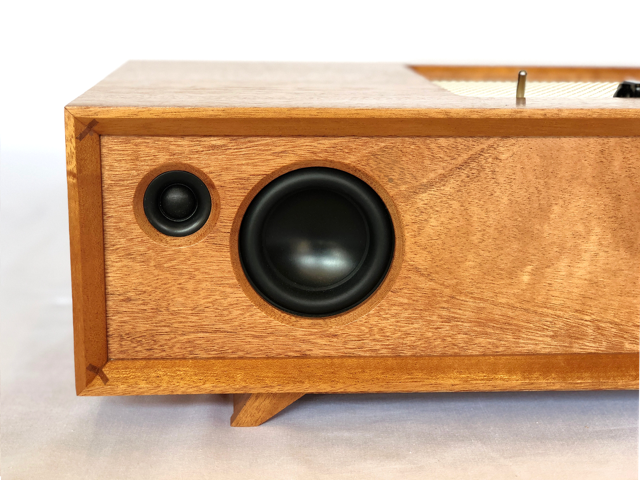 To give the Moderno Minitube speaker a classic and vintage look, Sonnora Design has chosen for Mahogany wood. 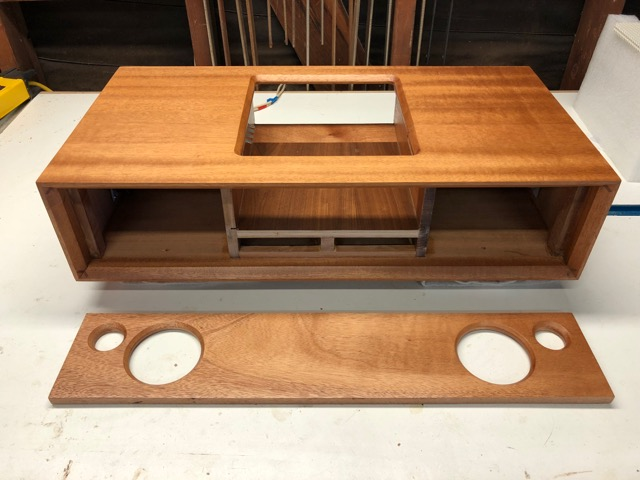 For this project he has chosen to work with Dayton Audio components. The woofer is the ND90 and the tweeter is the ND16FA-6. The Dayton Audio woofers gives a natural sound and exceptional bass. In addition, even at higher listening levels these woofers still have a very clear mid-section without much distortion. The ND16FA-6 tweeters have a smooth frequency response. For this price there is barely no other tweeter available of the same quality. Making a filter for the tweeter and woofer was fairly easy as they have an overlap in frequency. The filter can be kept simple, because of this and still sound outstanding! 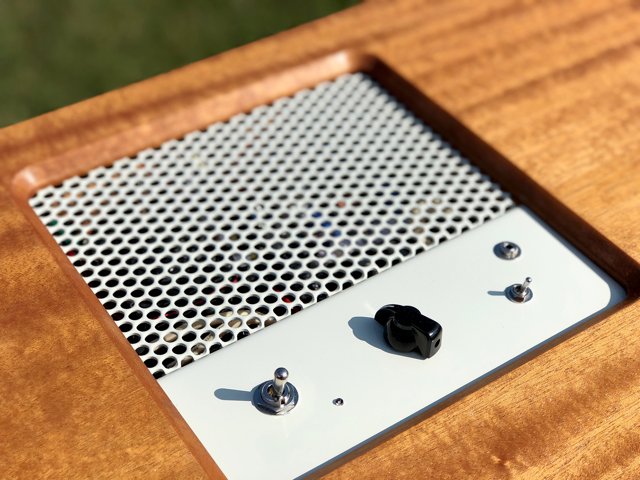 The control of the speaker is kept simple. A simple volume control, on- and off button and a connection to a telephone via AUX or Bluetooth. This should be sufficient for this project. This results is a plain and minimalistic design. 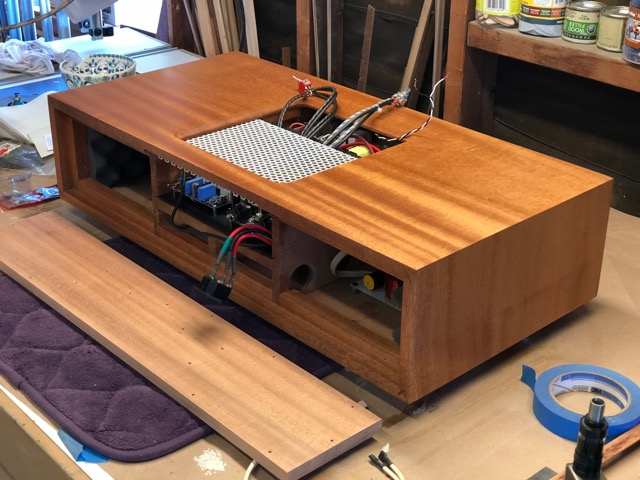 The internal components of the speakers, however, are anything but simple. 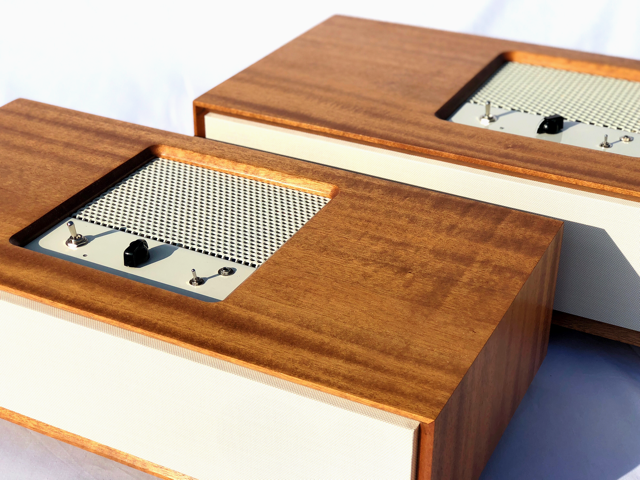 Sonnora Design has opted for a tube pre-amplifier and a Sure Electronics amplifier. 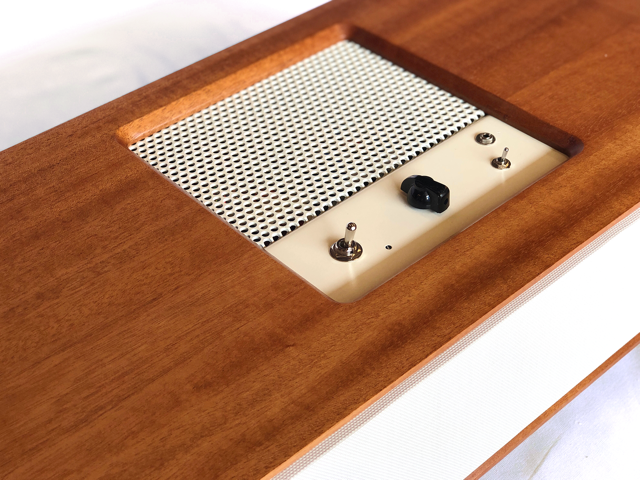 The tube amplifier gives a nice and warm sound to a otherwise neutral Class-D amplifier. The glowing tubes provide a real vintage look. 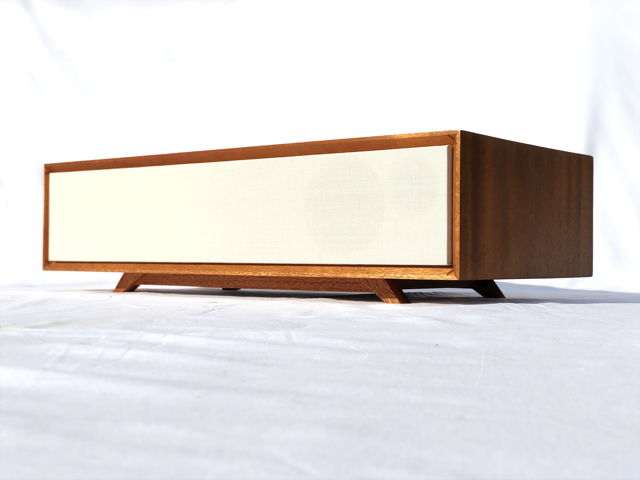 The result is a speaker that not only has vintage looks, but also a vintage sound! The speaker is supplied with power through power supplies of different voltages. 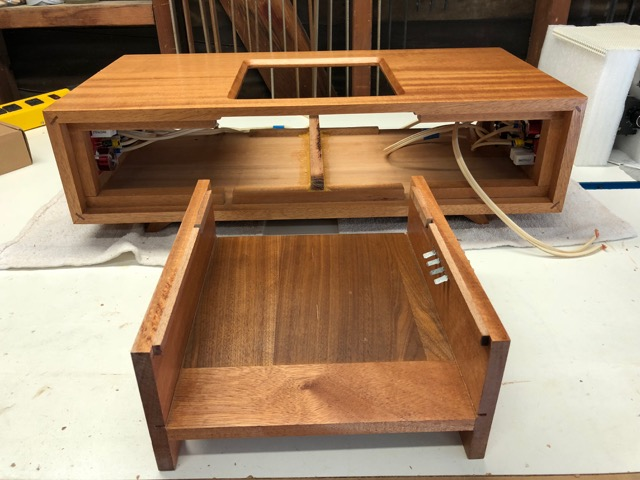 To hide all components, three different compartments have been chosen whereby the middle compartment with the power supplies and plugs is removable via the rear. 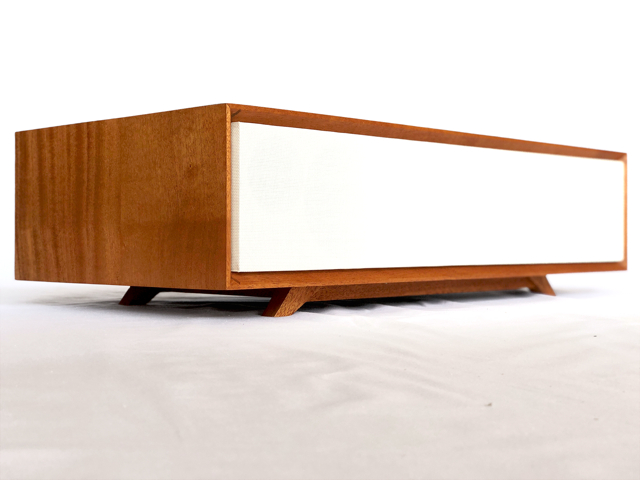 The dimensions for the Moderno 3 are 59 x 30 x 17 cm and for the Moderno 4, 69 x 33,5 x 18,5 cm. 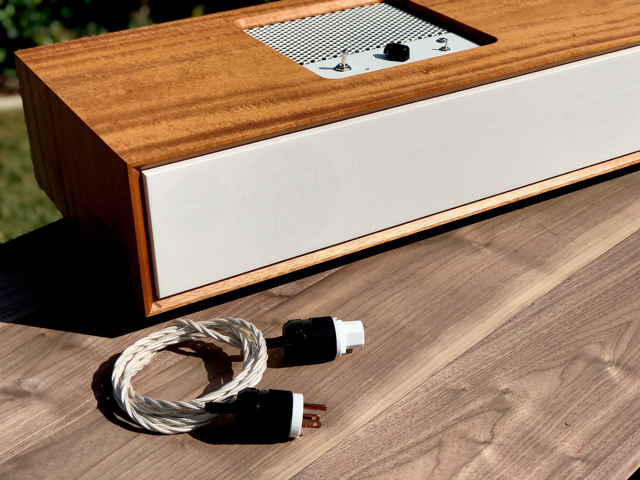 Sonnora Design has paid much attention to the design of this speaker. Even the power cable itself is manufactured by hand as you can see in the photos. This project has been executed with a lot of passion and perfection. We can only dream about the sound and we hope that we will be able to encounter many comparable projects in the future! Below is a small photo collage of the Moderno Minitube Speaker. 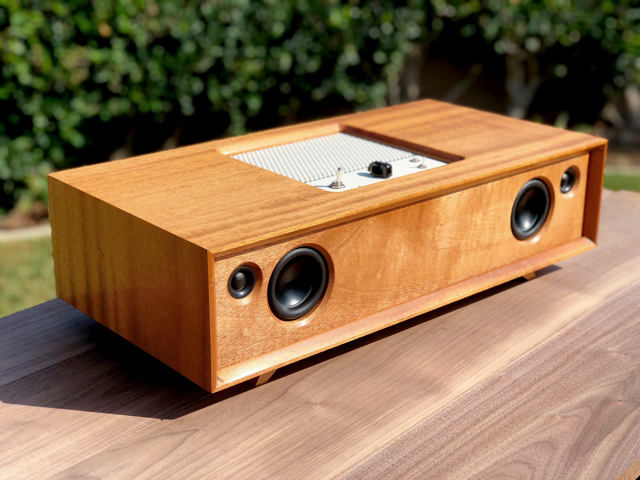 The most beautiful Bluetooth speaker I ever seen!! Do you have a video with sound test?